During the summer, you might be looking for some activities to do with friends and family. How does a free, live concert by the beach sound? 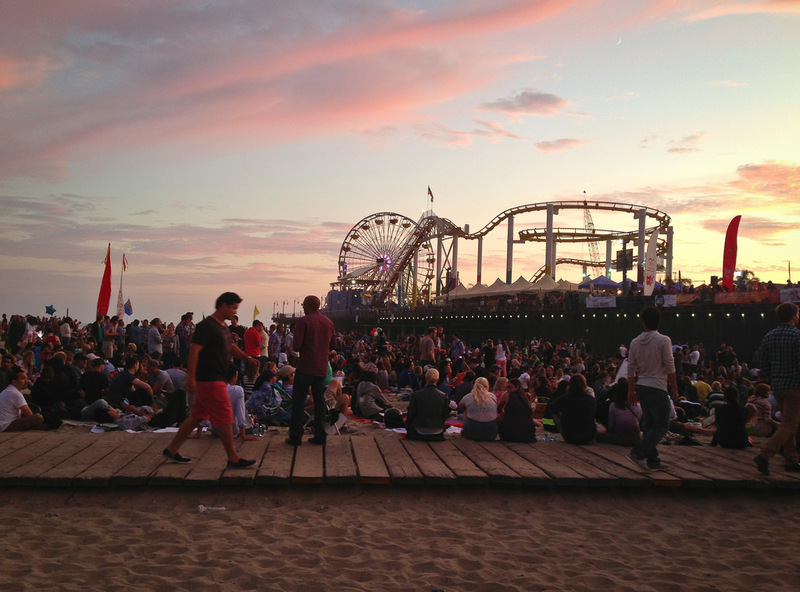 If you love listening to live music, enjoy watching sunsets and can’t get enough of FREE shows, then the Santa Monica Twilight Summer Concert Series is just the thing for you! This year, the concert series will be every Thursday from July 7th – September 8th. Don’t miss out on this exciting concert series while staying in Downtown Los Angeles or the surrounding cities. One of the great things about the Twilight Summer Concert series is that each week, a different genre is represented. This means that you can get a great variety of music – and it’s all for free! On July 7th, start the concert series with some Nu Soul sound with Mayer Hawthorne and Alina Baraz. On July 14th, listen to indie-rock breakout artist BORNS as well as Porches. The following week, on July 21st, get your rock music fix with The Psychedelic Furs and Day Wave. On July 28th, reggae artists Protoje & The Indiggnation and Raging Fyah will take to the stage for a fun night of music. On August 4th, spice things up with Latin artists Natalia LaFourcade and Monsieur Perine. If you feel like dancing the night away, be sure to head to the pier on August 11th for some dance music by Rufus Du Sol and Marc Baker. The following week, slow things down a bit for some classical music with Mavis Staples and The Suffers. On August 25th, get out your converse and flannels for some 90s Alt music with cover band Save Ferris and alternative bands Cibo Matto and Jake Davis. On September 1st, Indie Rock artists Unknown Mortal Orchestra and Steady Holiday will put on a show and finally, the concert series will close on September 8th. During the last show, let things go with a bang as you listen to some fast, paced and exciting disco music! Ohio Players and Holy Ghost will be performing.